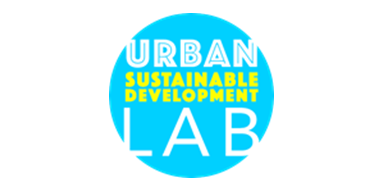 We would like to invite you to the first Sustainable Development Lab on April 26 in Leeds. This is a free event but attendance is by invitation only. If you are a decision maker who can lead the change in your organisation, then join us! The Lab is hosted by the Leeds City Council Smart Cities team as part of the Digital Festival week in April.Since January 2015 we have been actively working with residents and creative technologists to develop affordable and accessible technology solutions for vulnerable residents in the city. A year later, we are in the process of scaling these services to 100,000 users. As we work towards this milestone, we see that the tide is turning! Local authorities in the UK and cities across the world are demanding a pragmatic and affordable roadmap to join the Smart Cities agenda. With this in mind, we will run the first Sustainable Development Lab on April 26. This one-day workshop is about thinking big but starting small. It introduces and simplifies important technology, behavioural and design concepts. We will demystify IoT, Usability and Open Data. The Lab will allow you to take charge of these trends and work collaboratively with citizens to create sustainable solutions. On the day you will develop at least on idea that you can take back to your organisations. We are delighted to run this workshop with subject matter experts Alastair Somerville and Abhay Adhikari. They have facilitated sessions at global conferences and venues across the world. This includes SxSW (Austin), O’Reilly Design Conference (San Francisco) and Waag Society (Amsterdam). You will also meet members of the Leeds Smart City team who will share their experiences. This full day workshop will take place in Leeds on April 26. It is free to attend but by invitation only. If you are a decision maker who can lead the change in your organisation, then join us! Please feel free to forward this email onto your colleagues who this may interest. The number of places is limited so if you would like to attend, please RSVP via email no later than April 12. Lunch will be provided, please advise of any dietary requirements.